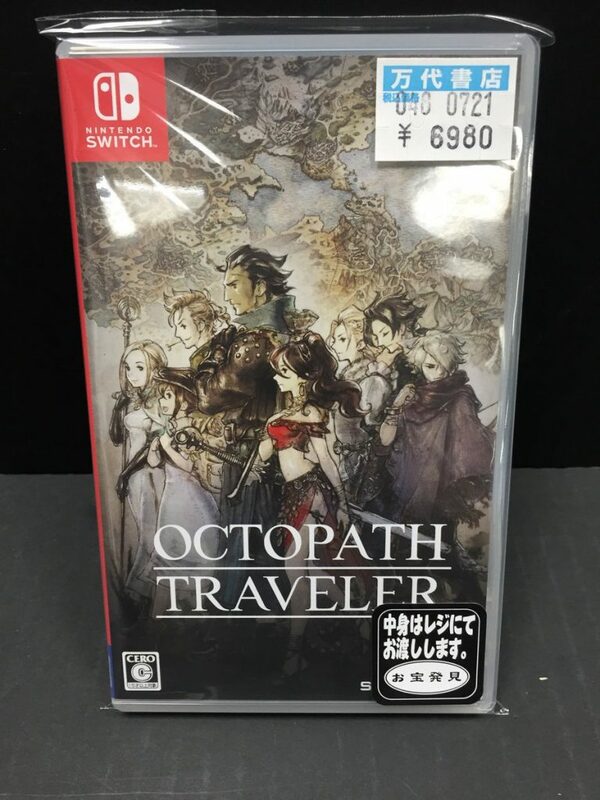 As you know, Octopath Traveler is really hard to find in Japan when it comes to retail copies. There are a handful of used copies out there, and as you can see, the asking price is nearly that of a new retail copy. These are getting snatched up quite quickly, so expect the situation to stay the same for at least a few weeks. That&apos;s what GameStop does all the time with new games. 60 for new, 55 for used. I think the situation was never like this in Japan, though. At least... not to this extent. Glad to see the game&apos;s doing well, though. Sorry, but that&apos;s normal for japan. Used copies of games and DVDs cost nearly always as much as new ones, especially so close after launch. Unfortunately this is pretty much the norm in Ireland. Second-hand games usually cost as much as the digital copy would be on the eShop! I&apos;m glad the game&apos;s doing so well though!